Now that the European Tour is complete and our schedules have aligned, there’s a lot to discuss. 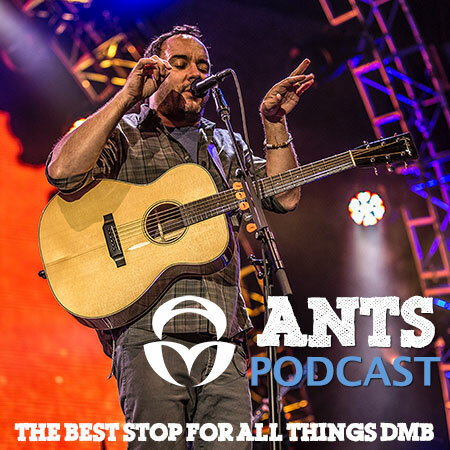 We cover the latest DMB news, plus we dive into the current heated topics among the community. Including discussion of the song selection during the European show and implications (or not) for the upcoming Summer Tour. And a look at how the band’s sound and setlists have changed over the years. Plus we take your questions! Available wherever fine podcasts are found. You may notice that we've listed both episode 101 and 102 in the title. We recorded E101 back when the Batson Sessions had just leaked, so that recording took precedence and E101 was never officially "released." Today, we right that wrong. Enjoy the double double, with chopped chilis! While Apple's built in Podcast app is a great app for listening to the Ants Podcast, an alternative that some might enjoy has emerged: Overcast. Overcast is a great, free podcast app that has gained a lot of popularity since its release. If you're looking for another app for your Ants Podcast fix, give it a try!